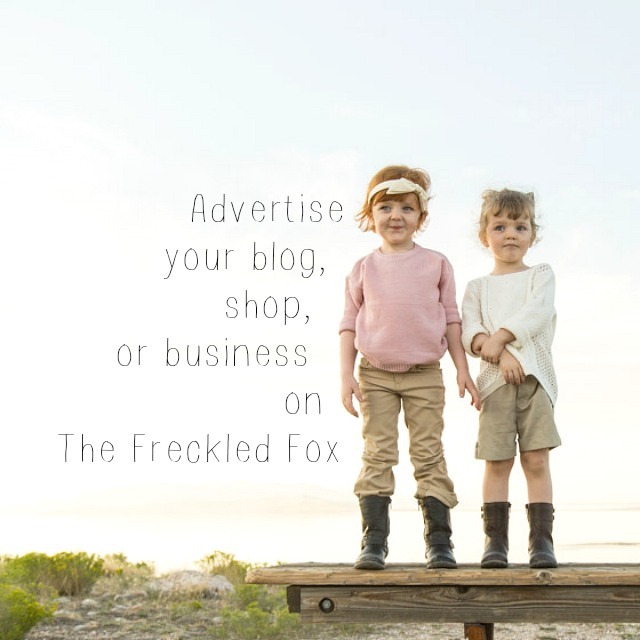 The Freckled Fox: Sponsor Call + a huge Halloween ad Sale! Sponsor Call + a huge Halloween ad Sale! Happy Weekend! It's been ages since I did an official 'sponsor call' /ad sale post, and since Halloween is less than a week away I figured it would be a great time to have a Halloween/ Fall/ Just because ad sale for you beautiful people! The traffic on my blog has continued to grow and grow, and this month it's headed towards bringing in double the readers that we had just in July! I'm currently running my 1 XL solo feature/giveaway spot, 1 in-post banner ad (that runs at the bottom of every blog post for a month and has the same perks of the XL! ), 10 Larges (they're always popular and with a big group giveaway), 8 mediums (which also get a giveaway! ), and 10 littles for that little extra bit of new readership and traffic! My variety of sizes and amounts will be changing next month, so hurry and sign up to be part of the fun in November! Feel free to email me with any questions you may have, and I really really hope you'll join the sponsor team! Thanks so much for visiting, and have a great rest of your weekend!